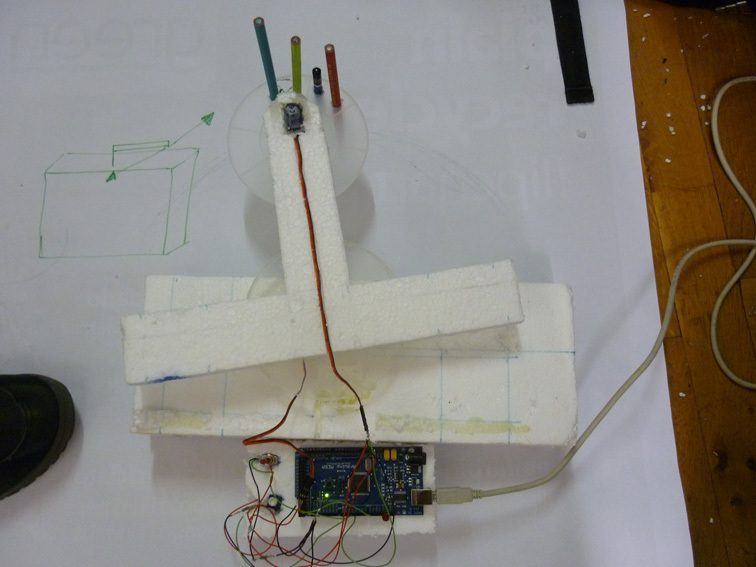 Creative Robotics workshop took plase at Servus in Linz (10.-11.12.10). During 2 days the participants were introduced to Arduino, servo- and DC motors. 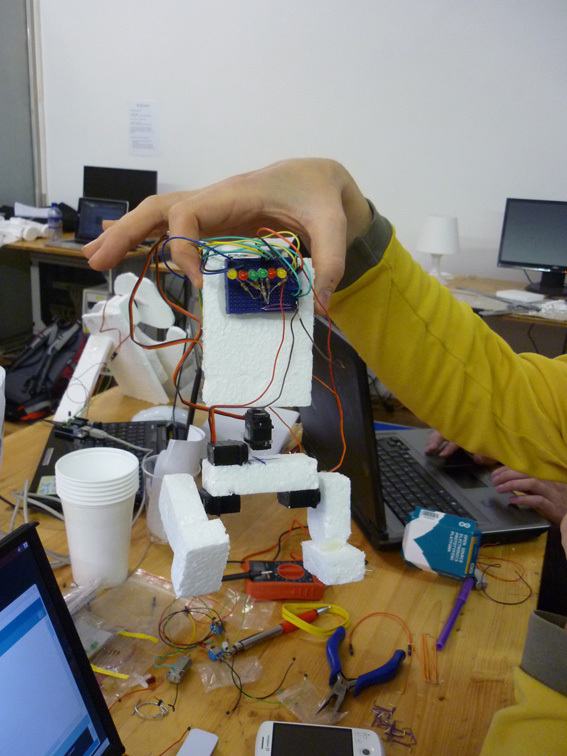 In addition, they were provided styrofoam as material for robotic creatures.